Good news — you can. 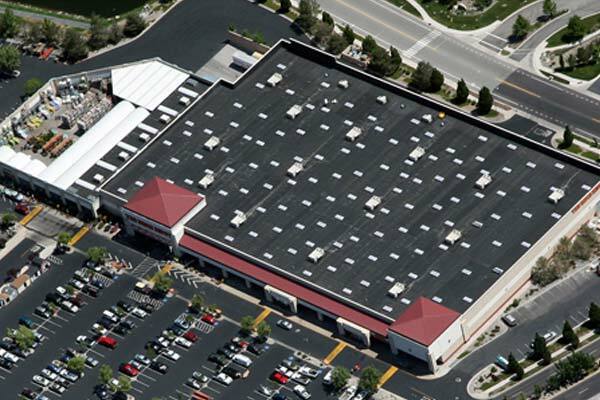 Elastomeric roof coatings install over metal, modified bitumen, single-ply membrane and built-up (BUR) roofing systems. For many building owners, these coatings are an affordable way to protect the integrity of their low-slope roofs. Energy Efficient: White is the most common color for elastomeric roof coating because it reduces thermal transfer by reflecting searing-hot sunrays away from the roof. This “cool roof” reflectivity lets your HVAC unit run less, saving you on utility bills and prolonging the life of the units. Coating Cost: Elastomeric coatings cost substantially less than other roofing systems. Budget-conscious facility owners can save money while extending the life of your roof 10 years or more. Quick Installation: Elastomeric coatings go on quickly, meaning we won’t be hanging around your facility for weeks on end. We’re in, we’re out, you’re set. LEED Credits: “Cool roofs” that contain elastomers can help meet LEED, ENERGY STAR and other energy code requirements. In addition, a cool roof reduces Urban Heat Island effect so your community will benefit as well. Structural Benefits: Elastomeric roof coatings do not add dead weight to the roof so there is no detrimental effect to your building’s structure. The rubber-like properties of elastomeric coatings expand when warmed by the summer sun and they return to their original state as they cool down after sunset. This intrinsic “memory” reduces the risk of hardening and cracking so your roof lasts longer. Call us today at 719-581-2800 to find out if your building could benefit from the installation of elastomeric roof coating.